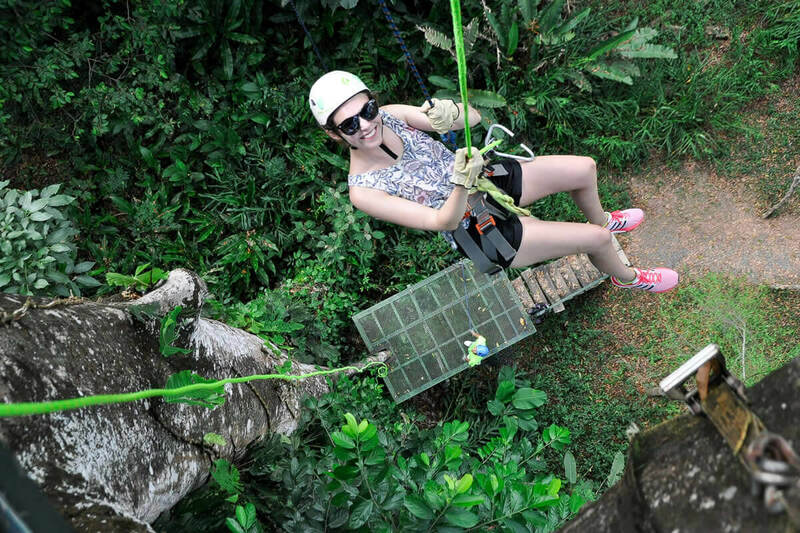 The canopy tour has over 3.6 kilometers of total zip line length on 10 lines, 14 tree platforms, 3 nature walks, 6 hanging bridges, a rappel secured by a top and bottom belay and air stairs. 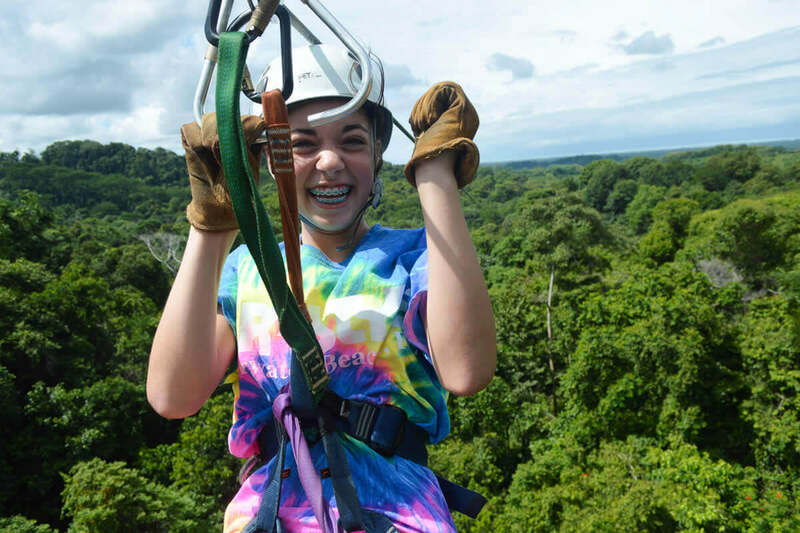 Mountain, jungle, canopy, and ocean views. 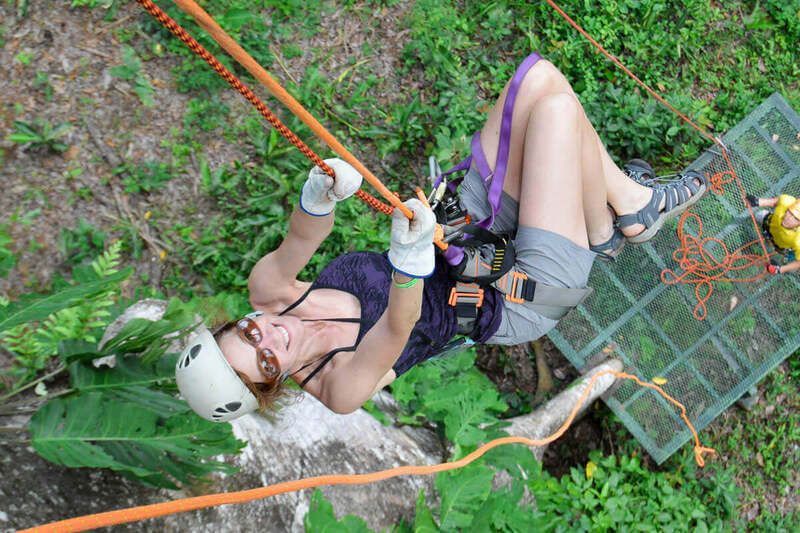 Come fly with El Santuario Canopy Adventure Tour where Adrenaline meets a healthy dose of education! 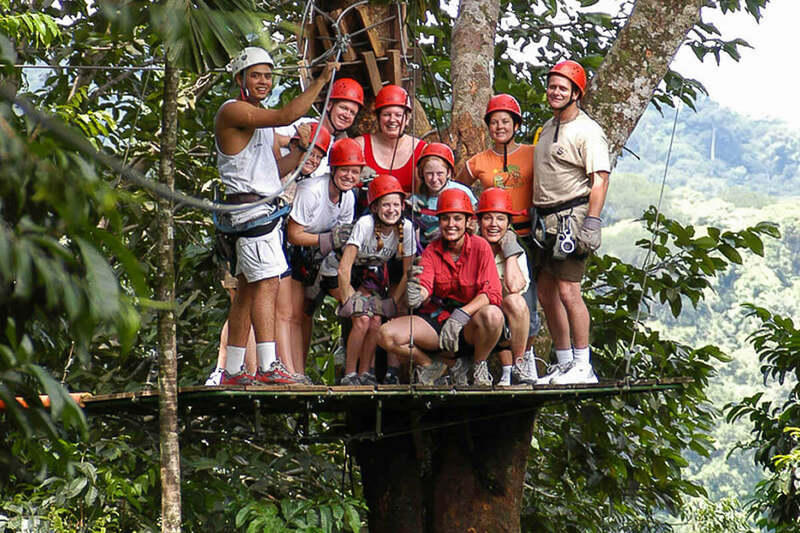 Santuario Tours is passionate about offering truly unique educational opportunities. 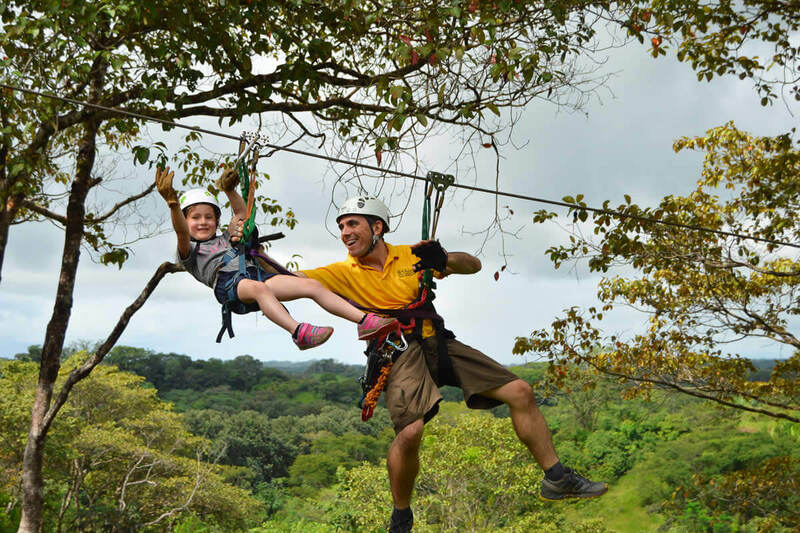 Not only will you take away memories that will last a lifetime – you will learn some history of the Quepos and Manuel Antonio, Costa Rica areas. 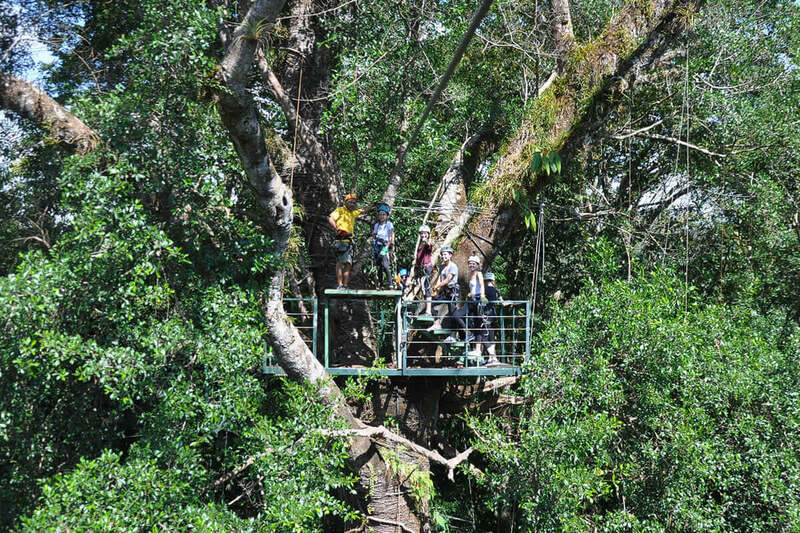 You will learn a little about the rainforest and the beautiful country that hosts over 5% of the world's biodiversity. Santuario Tours is motivated to share and educate. 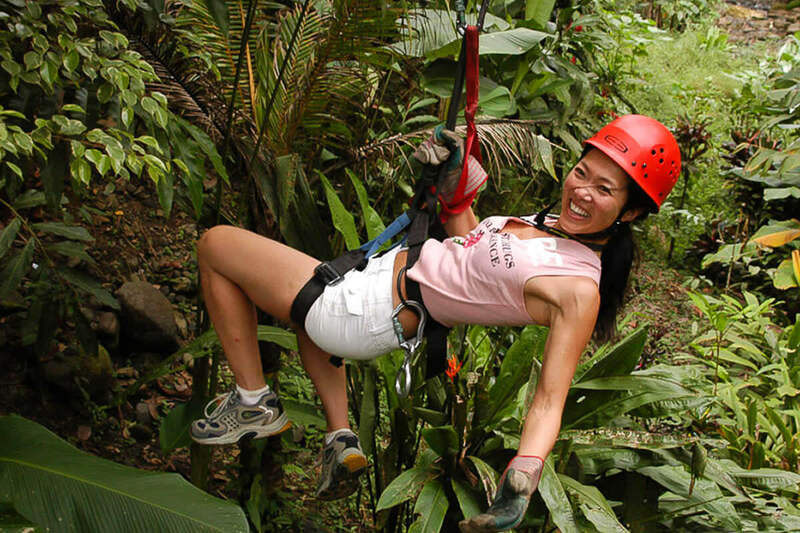 Why people love the Santuario Zip Line Tour? 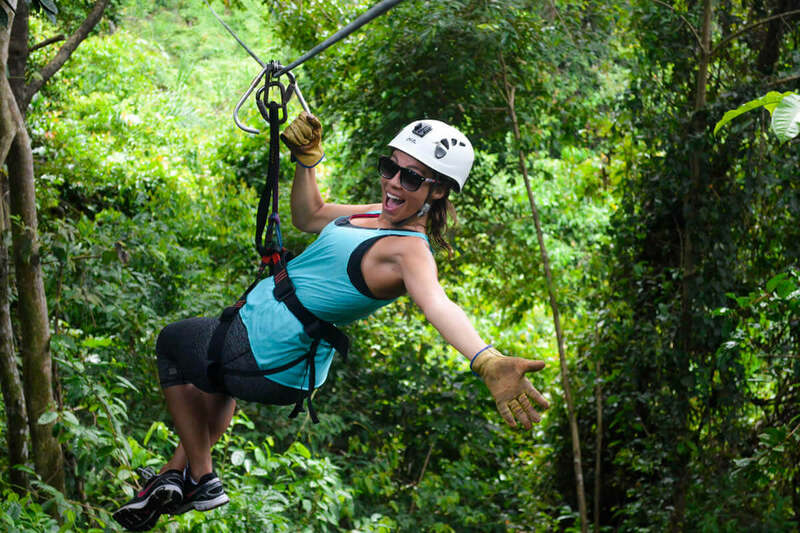 Race your friend on the longest dual zip lines in Central America – over 4300 feet of adrenaline. No extra charges for the best parts – the longest line is included with all the other great features of the tour. Rich Costa Rican coffee, fruit and water on the tour. 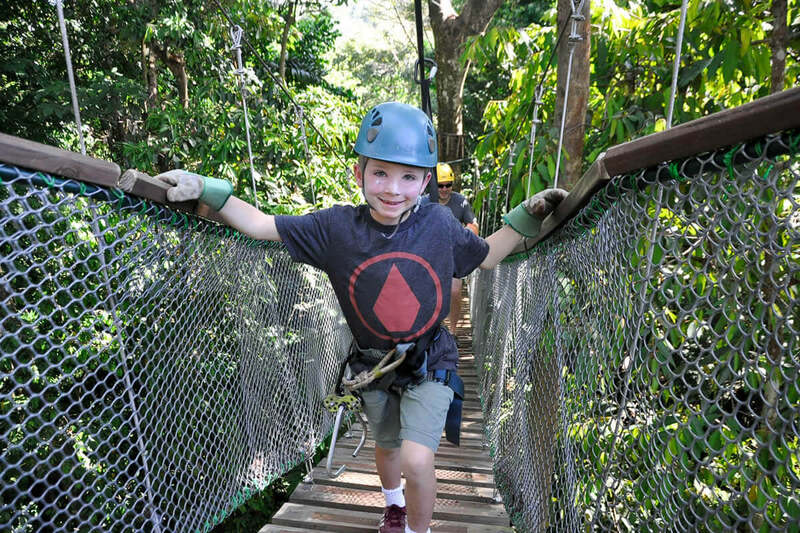 14 Tree platforms, 6 hanging bridges, 3 nature walks, 1 double belay rappel, 10 double anchored ziplines totaling over 3.6 kilometers (+2 miles)in total length. We maintain the highest safety standards for our equipment and guides. 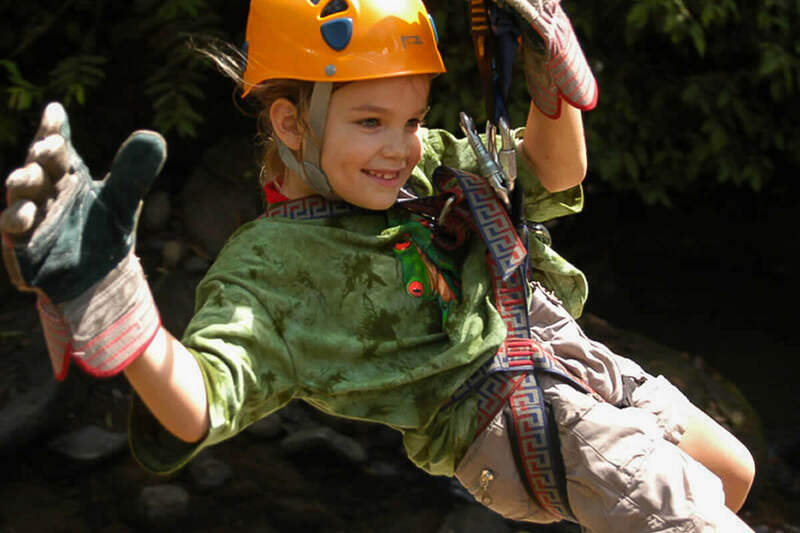 Our proprietary braking system allow you to enjoy the zip line safely and without worrying about the end of each line. We are located only 10 minutes from the Quepos Airport – spend less time in the van and more time in the jungle. Fun, personable, interactive guides who are well trained and speak Spanish and English. Delicious Costa Rican meal following the tour. Free transportation from your hotel or villa in the Manuel Antonio / Quepos área. 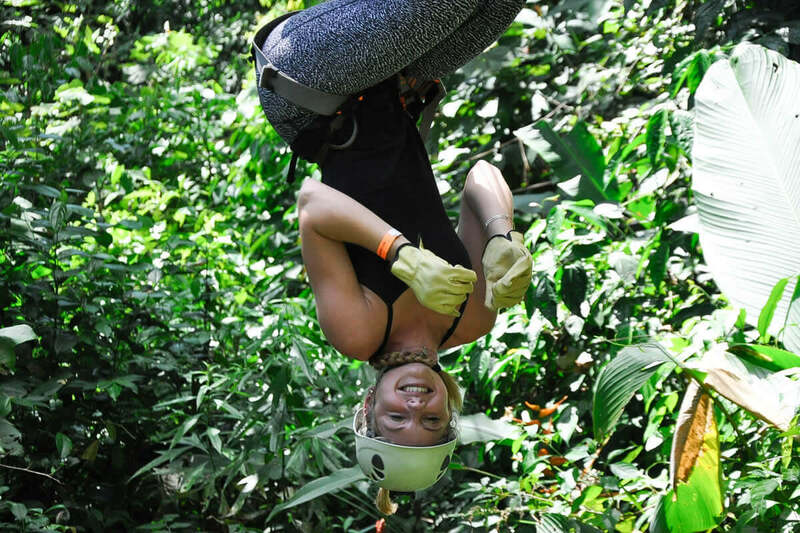 Transportation, the longest single Zip Line in Central America at over 4,300 Feet, 14 tree platforms, 3 Towers, 6 hanging bridges, 11 double anchored ziplines totaling over 3.6 kilometers in length, 3 nature walks, 1 double belay rappel, beautiful natural butterfly garden and typical Costa Rican lunch after the tour. 7:00 am - 10:00 am (pickup at your hotel).